Gidgee wood is an acacia timber prized for its strength and is Australia's hardest timber (and the third hardest timber in the world). The heartwood is a deep, rich brown colour with a very fine grain. This classic wooden fountain pen is created by an artisan who hand turns each pen on a lathe in North Brisbane. Using a meticulous thirteen step sanding process and 10 coats of CA we highlight the simple, innate beauty of the Australian gidgee timber. The natural uniqueness in the woodgrain and timber colour variations, means that each wooden fountain pen we create is one of a kind. This elegant and classic styled fountain pen is thinner and lighter than the sedona style fountain pen. It features 24 kt gold plating and a tough iridium nib made in Germany. It has a threaded lid that can be effortlessly placed on the end of the pen so it never gets misplaced. The pen comes in a quality, black presentation case or you can purchase an engrave-able timber box (option below). This attractive pen uses easily replaceable, black ink cartridges. The pen comes with one ink cartridge. (click here to buy extra fountain pen refills). 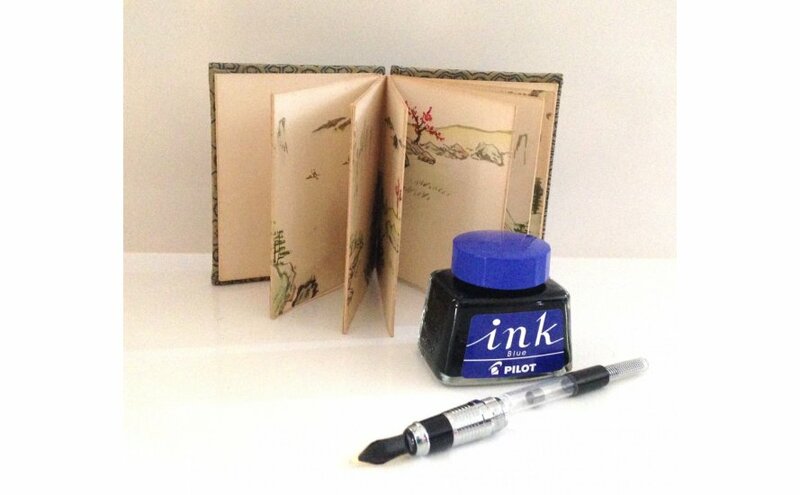 It also features an environmentally friendly mechanism that allows you to refill your pen from bottled ink. We also sell a matching classic style roller ball pen or we can make you a matching letter opener which makes a lovely gift set. Need it engraved? Type the exact word or phrases needed along with your font suggestion in the text box provided. We will contact you to confirm your engraving prior to it being laser engraved. Please specify if the engraving is for a left or right hander. Need it gift wrapped and posted direct to someone? Add the name and address of the receiver in the text box, we will gift wrap and send on your behalf. The package will include the senders name (yours) but will not include an invoice. We are specialist pen makers. Custom pen orders are our speciality and we'd be pleased to design and turn you a bespoke pen. You can even supply your own wood that holds precious memories.